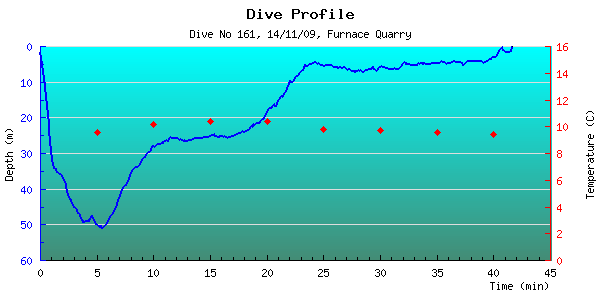 Description: Another deep dive at the Furnace Quarry wall. Surface swam out from the shore and dropped down onto the wall. The descent was super quick but this allowed us a little more time on the wall. We made it to our max depth of 50m and followed the contour for a bit before we started our ascent. Around 30m it levels off with a sandy bottom. Various curiosities were spotted, some large dragonettes (larger than usual anyway), scallops (too small), a dogfish, some flatfish and an anchor which John found.